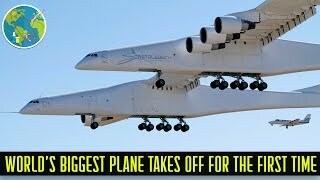 The World's Largest Aircraft will take off in 2019 | "Stratolaunch"
Originally SpaceX was intended to provide a liquid-fuelled rocket to serve as the means of lifting the Stratolaunch payload delivery vehicle into space by launching it at high altitude from under the carrier aircraft, but collaboration with SpaceX was abandoned in late 2012. In November 2012, #Stratolaunch retained Orbital ATK on a "study contract" to develop and evaluate "several alternative configurations" for the vehicle to be launched from the carrier aircraft. 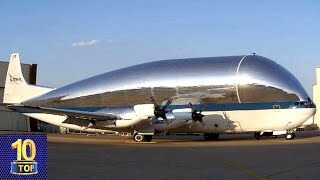 By early 2013, Orbital ATK was under contract to develop the Pegasus II for the Stratolaunch space vehicle launch component: The Pegasus II was expected to be able to deliver up to 6,100 kilograms (13,500 lb) to low Earth orbit. 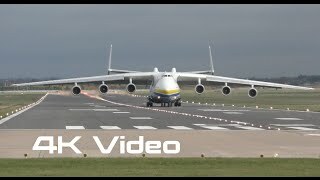 In May 2014, it was announced that the Pegasus II solid-fuel rocket was not achieving design economic goals and that Stratolaunch had contracted with Aerojet Rocketdyne to build the RL10C-1 dual-motor liquid fuel engines for the launch vehicle. In October 2016, it was announced that "multiple" Pegasus XL rockets would be used by Stratolaunch. It was announced on September 13, 2017 that Stratolaunch had signed an agreement with NASA to providing testing services to support propulsion for a vehicle. It was noted that Stratolaunch hired Jeff Thornburg as vice president of propulsion. Thornberg had worked both on the J-2X engine for NASA and helped develop the Raptor rocket engine at SpaceX. The implication is Stratolaunch has decided to go its own way in developing a launch vehicle. 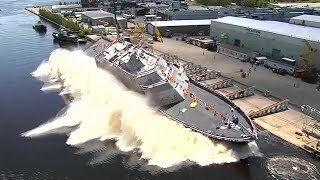 The NASA agreement stated that Stratolaunch plans to deliver the test device for “testing of its propulsion system test article element 1” at NASA's Stennis E1 test stand by the end of May 2018. The test series is scheduled to be completed by the end of 2018. It was announced on September 13, 2017 that Stratolaunch had signed an agreement with NASA to providing testing services to support propulsion for a vehicle. It was noted that Stratolaunch hired Jeff Thornburg as vice president of propulsion. 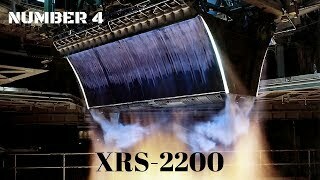 Thornberg had worked both on the J-2X engine for NASA and helped develop the Raptor rocket engine at SpaceX. 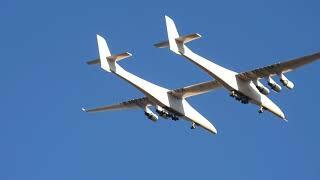 The implication is Stratolaunch has decided to go its own way in developing a launch vehicle. The #NASA agreement stated that Stratolaunch plans to deliver the test device for “testing of its propulsion system test article element 1” at NASA's Stennis E1 test stand by the end of May 2018. The test series is scheduled to be completed by the end of 2018. 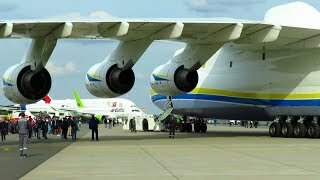 ANTONOV AN-225 - CLOSE UP PUSHBACK of WORLDS LARGEST AIRCRAFT at ILA 2018 Air Show! 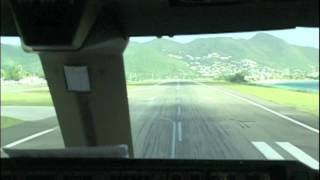 BOEING 747 makes super fast takeoff from St Maarten! 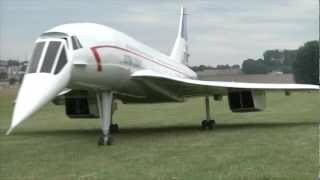 A huge Concorde RC plane powered by two turbines. ©2018 by patricia valera. All Right Reserved.